One of America's greatest architects, Frank Lloyd Wright, referred to light as "the beautifier." Light enhances. It's purpose is to compliment, not compete- with architecture. Imagine your next party. 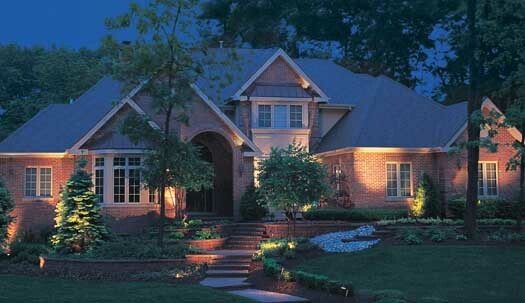 Your landscaping and home are illuminated to perfection. Enjoy your home to the fullest at night after a stressful day of work. 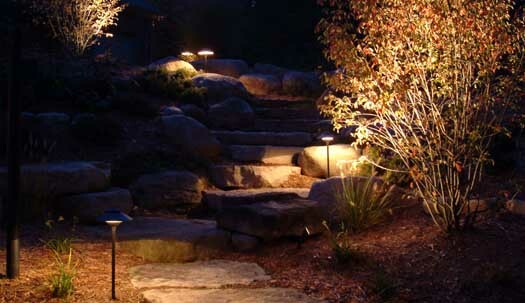 Outdoor lighting is both an art and a science. 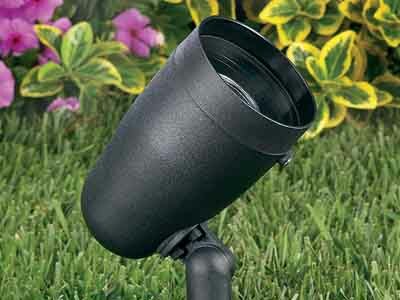 When blended together, amazing effects illumate your entire landscape. 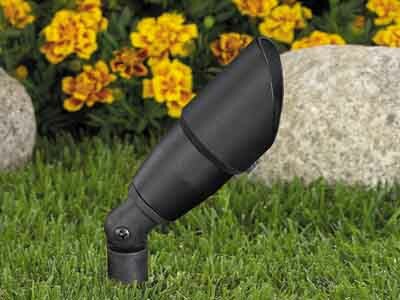 Low voltage outdoor lighting is the perfect way to increase the beauty of your home and environment. 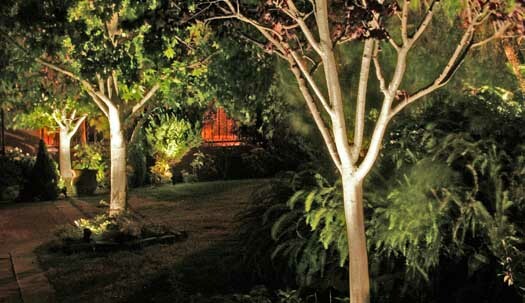 Using the finest in lighting fixtures from Vista Professional Outdoor Lighting you can beautifully accent and illuminate any area around your home. 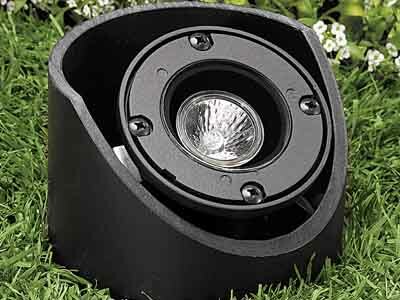 There are hundreds of fixtures to choose from, including uplight, downlight, grazing, accent, in-ground, well and path lights. 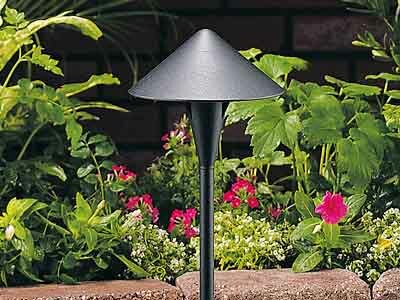 Made in the USA, Vista Professional Outdoor Lighting luminaires provide superior performance under all weather conditions. There is a wide variety of finishes to choose from, including Mocha, Weathered Iron, Pewter and Verde just to name a few. With each complete custom-designed and engineered lighting project, we include a power and control system tailored to fit. 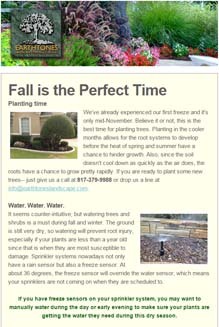 Along with the manufacturer’s warranty, Earthtones Landscape Contractors, Inc. provides a one-year warranty on all labor and installation. 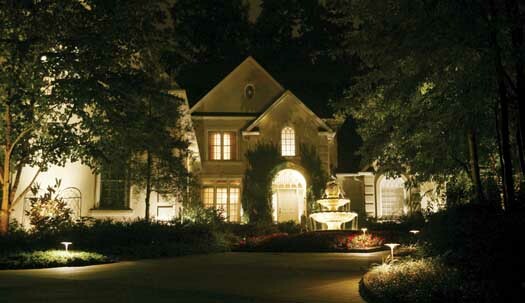 Contact us today for information on the design and installation of your new lighting system.